China Labour Statistical Yearbook 2016 is an annual statistics publication,which iscomprehensively reported the labour economic situation for 2015 and some main indicators series forhistorically years at nation and provinces,autonomous regions and municipalities levels and parts ofcities. The book is organized into 14 parts,which are:l.General Survey;2.Employment andUnemployment;3.Employment and Tatal Wages in Urban Units;4.Employment and Tatal Wages inState-owned Units;5.Employment and Tatal Wages in Urban Collective-owned Units;6.Employmentand Tatal Wages in Other Ownership Units;7.Vocational Training and Skill Appraisal;8.LabourRelation;9.Social Security;10.Trade Union Works;11.Main Indicators of Hong Kong;12.MainIndicators of Macao;13.Main Indicators of Taiwan.In addition,Main Indicators of Other Countries(Regions) and Explanatory Notes on Main Statistical Indicators are provided in the end of the book. Besides National Bureau of Statistical and Ministry of Human Resources and Social Security,All-China Federation of Trade Unions also participate in the compiling work of this book. 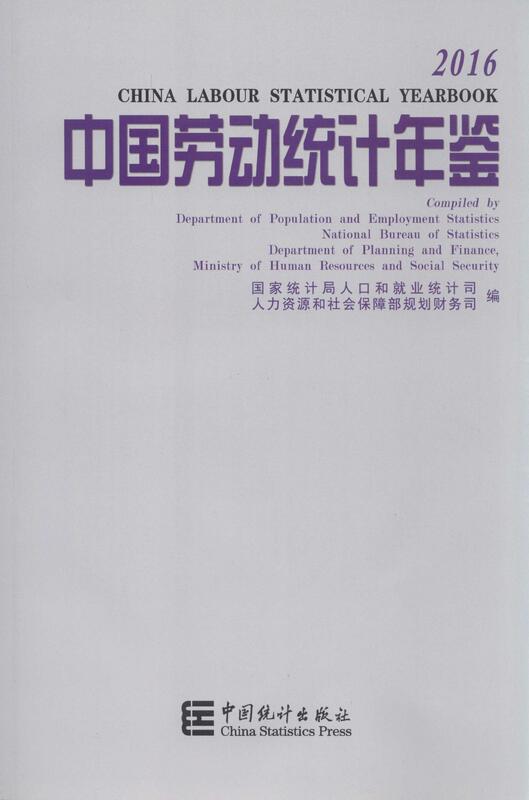 Data resources of this book mainly come from state and departments reporting system,administration records and sampling surveys.Since the information of labor resources andemployment for the whole country are calculated according to relevant data,they are not equal to theadd-results of all sub-items.